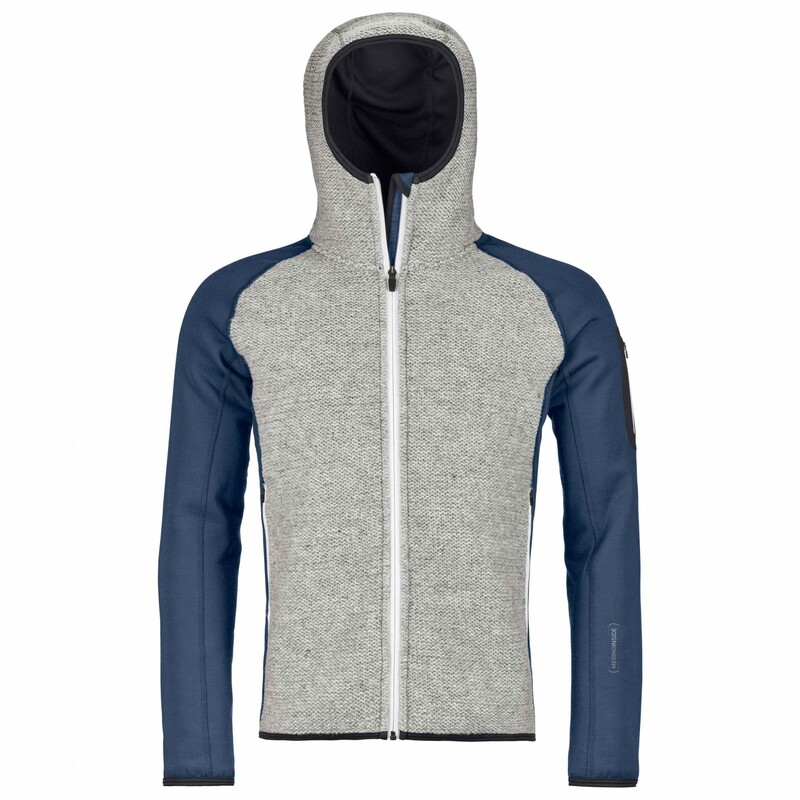 In terms of warmth, the Ortovox Fleece Plus Classic Knit Hoody wool jacket couldn't get any better. The soft, warm wool fabric is guaranteed to keep you toasty warm when the temperature drops. In addition to providing warmth, the fabric is incredibly comfortable to wear as well. The high-quality material used for this wool jacket feels so nice against the skin that you'll never want to take it off! For those small essentials you may need over the course of a day or in the outdoors, there are large zipped pockets with plenty of room. In terms of style, this jacket's no slouch, either. The contrasting colour of the sleeves gives the jacket a really cool, relaxed look. Like the rest of the jacket, the warm hood is made of merino wool. The sustainability, temperature-regulating and odour-neutralising properties of this material speak for themselves! The Ortovox Fleece Plus Classic Knit Hoody wool jacket.